Visit Wales 5 star rating and winner of the 2017 Swansea Bay Tourism Awards. 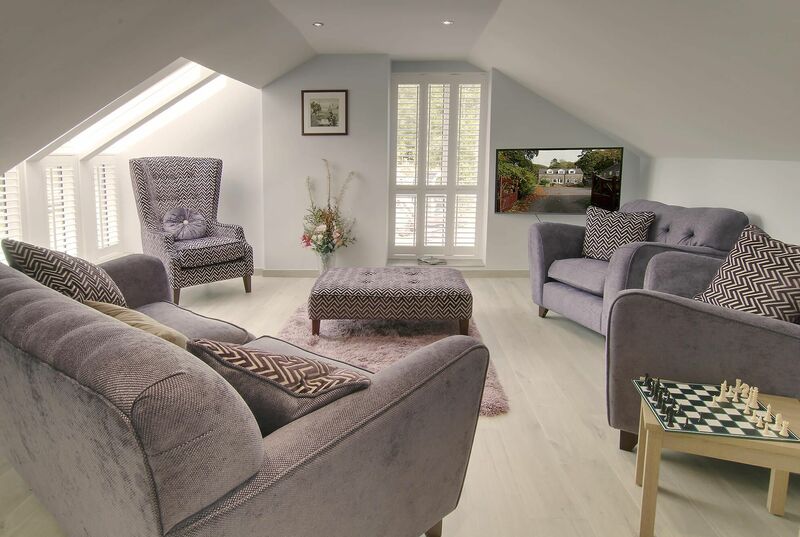 The cottage is stylish, modern and well equipped whilst retaining the historic atmosphere of the ancient estate to which it belongs. Ty Gambo is extremely cosy and comfortable – it is heated by heated by green energy and insulated with sheep’s wool. Much of the farm’s energy needs are produced onsite from solar energy. The cottage features Welsh themed artwork by prominent artists. A display coffee table is filled with centuries old artefacts and curiosities found by metal detectorists at the farm over the years. Short and midweek breaks are available, with a minimum stay of 2 nights. 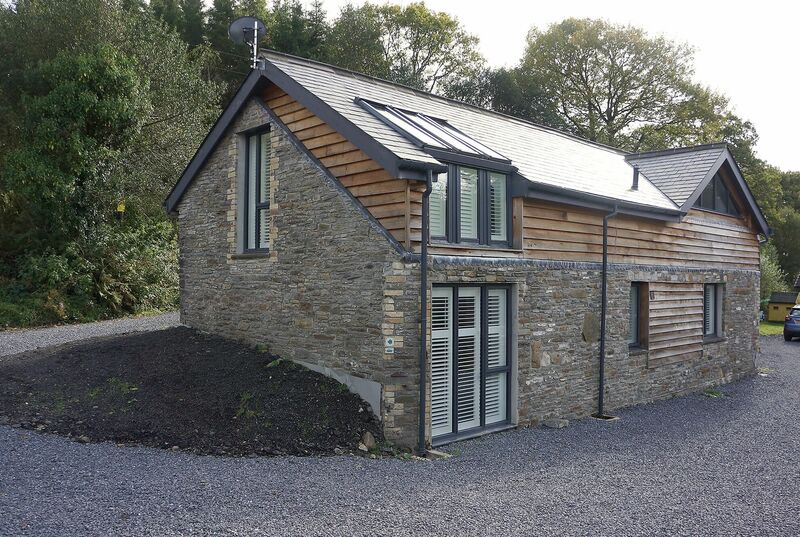 Bwythn Y Saer (sleeps 4), Hafod Y Wennol (sleeps 4), Y Stabl (sleeps 4), Ty Cerbyd (sleeps 4) and Lloc Llo (sleeps 4) can be booked with Ty Gambo to create a large property for family get-togethers or groups of friends of up to 26 people. There is a great gastro pub in the neighbouring village of Alltwen. Modern amenities are very close by - there is a 24 hour supermarket just over a mile away in the town of Pontardawe. Why not arrange for a delivery? An unrivalled tourist information folder at the cottage means that you have all the ingredients for an unforgettable holiday. The cottage's central location allows guests can to explore the entire South Wales region and its world class attractions ease. Master bedroom with king size bed and views out onto the old farmyard. 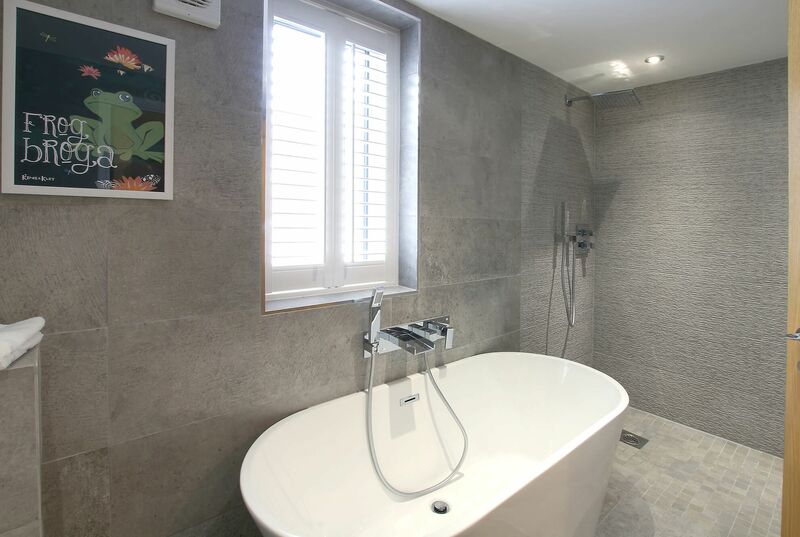 Stunning contemporary wet room with stand alone bath, waterfall taps and rainforest shower. 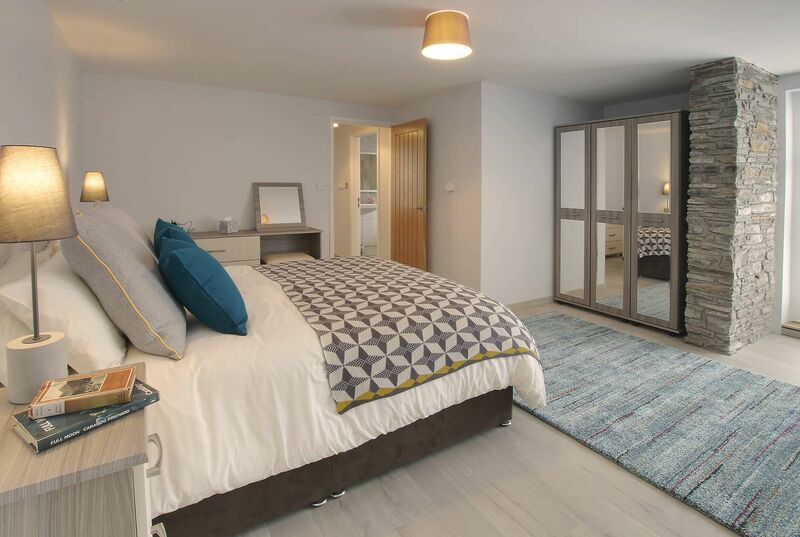 Twin/double bedroom with a zip and link bed. Open plan living space with wooden floor comprising a large kitchen with seating for six leading into a large living area with sofas and comfortable seating. Woodland and farmyard views. Character blends with contemporary style at Ty Gambo. This modern ‘upside down’ luxury cottage is located on a historic working sheep and cattle farm between the Brecon Beacons National Park and Gower Peninsula. Plas Farm, the former home farm of the celebrated Plas Cilybebyll Estate, is peaceful and secluded with a unique character and remarkable recorded history back to the early 1400s. Guests at Ty Gambo are welcome to explore 120 acres of beautiful private grounds including a bluebell woodland, mountain river and hillside areas with panoramic views of the Welsh countryside – the farm trail starts right on the cottage doorstep! 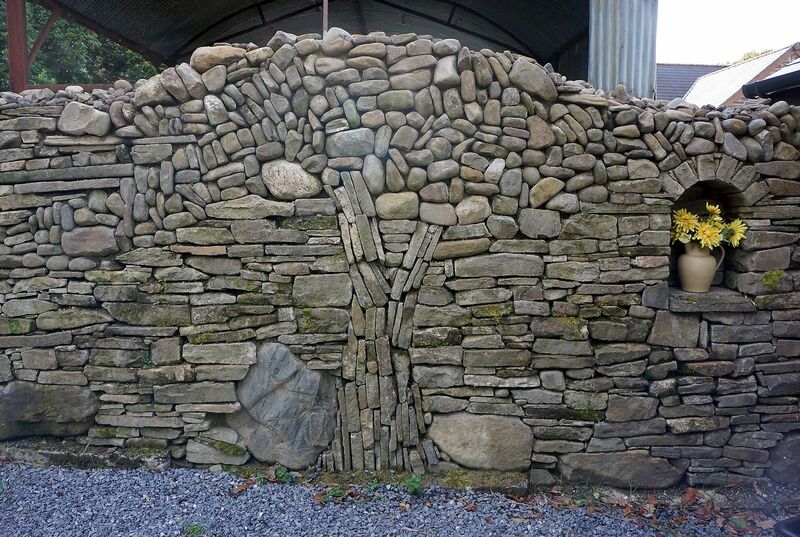 Ty Gambo was once an estate cart house and its Welsh name Ty Gambo means just this. 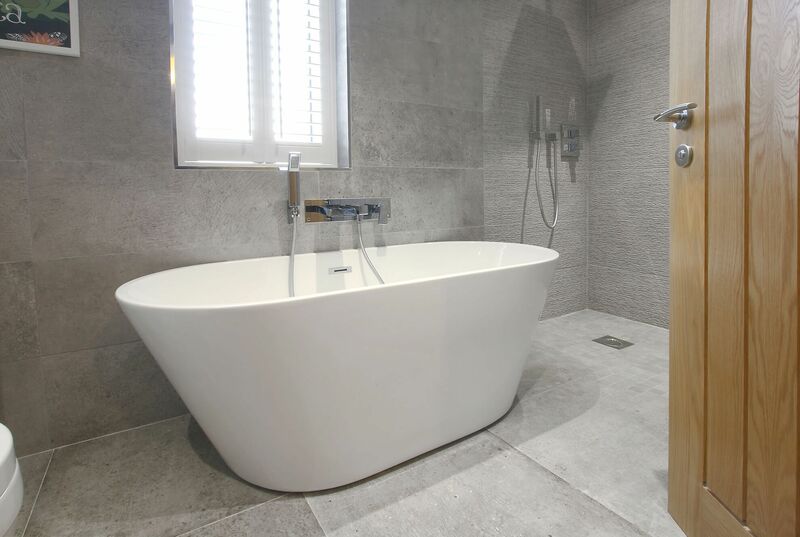 This luxurious modern holiday cottage is ‘upside down’ with three bedrooms downstairs and a stunning contemporary wet room with stand alone bath. 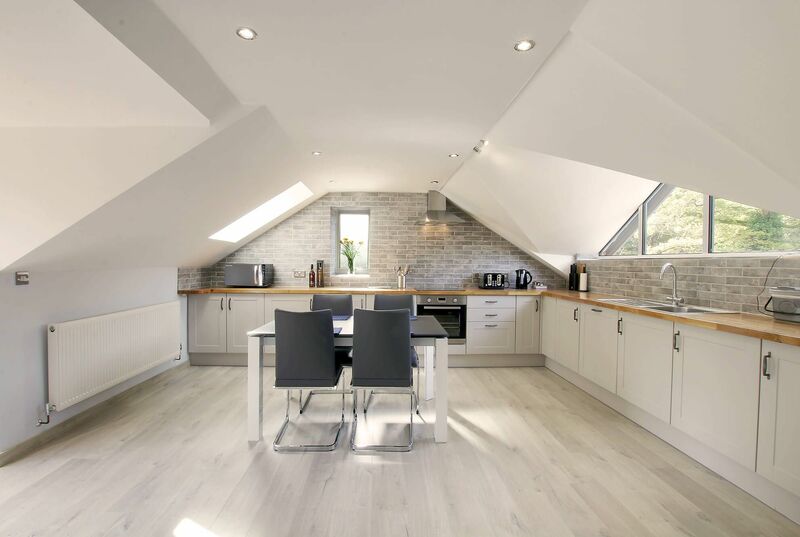 Upstairs the open plan living area and kitchen boast woodland and farmyard views. Guests love the combination of modern minimalism and historic features - there is even a magic tree built from stone in one of the walls! The cottage has its own private garden with pizza oven and barbecue. There is also generous parking directly to the rear of the cottage. Ty Gambo is close to modern amenities with pubs, restaurants and a 24 hour supermarket just over a mile away. This cottage offers guests the best of both worlds - a spectacular and peaceful natural setting and yet an unbeatable location for accessing the must see attractions of South Wales. 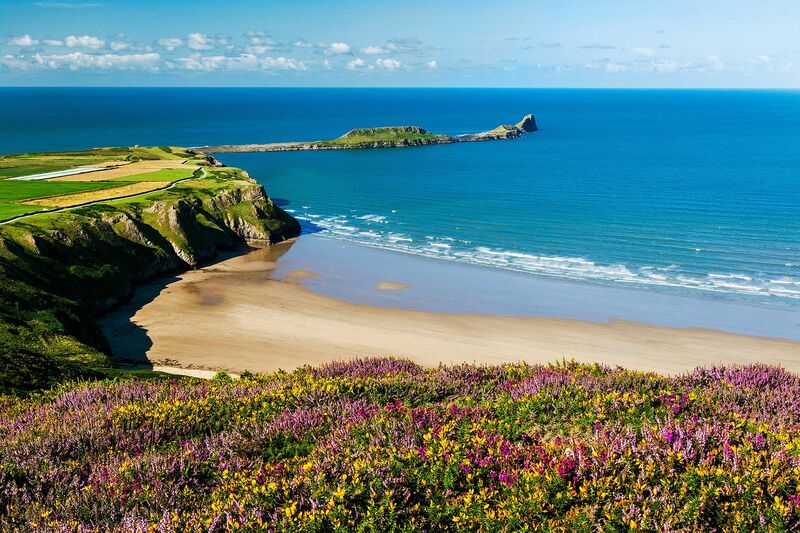 Just 20 minutes from the Swansea Bay coastline, guests can explore the glorious stretches of sand and idyllic secret coves of the Gower Peninsula (Britain’s first designated Area of Outstanding National Beauty) and the Victorian seaside resort of Mumbles, with its promenade, shops and restaurants. The cottage is also in a superb location for visiting Brecon Beacons National Park, the upper Swansea Valley being a gateway into the park. The National Showcaves of Wales, the Vale of Neath’s spectacular waterfalls and the energetic Afan Forest Park, home to five world-class trails for the mountain biking enthusiasts are all nearby. 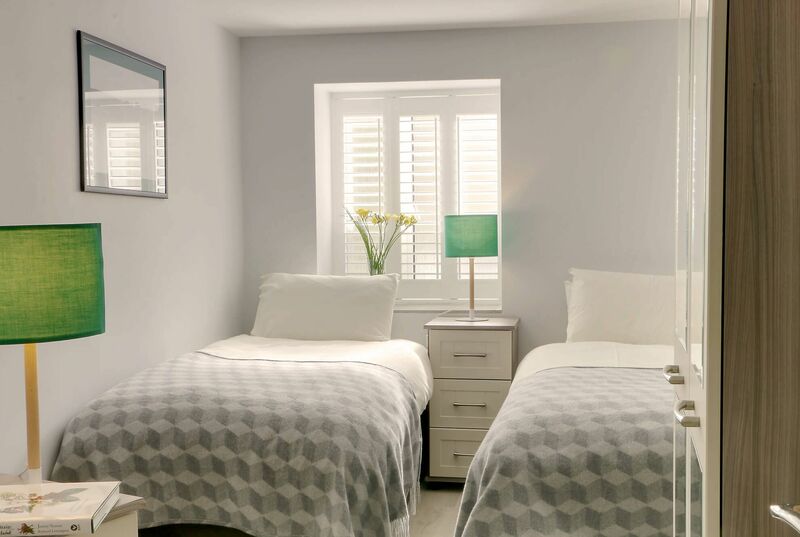 It’s also the perfect base for day trips to Pembrokeshire Coast National Park or the spectacular Glamorganshire Heritage Coast, both of which are less than an hour’s easy drive away. Swansea itself with its many bars, restaurants and shopping is 10 miles down valley and Cardiff, the bustling capital city of Wales, is well worth a visit with its castle, museum and Millennium Stadium. Ty Gambo is one of six family-run award winning cottages and barns each with their own distinct charm. A fairy-tale setting, Bwythn Y Saer (sleeps 4), Hafod Y Wennol (sleeps 4), Y Stabl (sleeps 4), Ty Cerbyd (sleeps 4) are located around a courtyard alongside the picturesque River Clydach. Lloc Llo is located near Ty Gambo on the farmyard on the other side of the river. Cottages can be taken individually or in any combination to accommodate up to 26 guests. 2019-02-23 H Dingle, Dubai "Ty Gambo is a beautiful redeveloped property which is even better than the photos. Set in a stunning location ideal for exploring the region - you won’t be stuck for ideas as there is an extensive booklet with so many recommendations and ideas to suit everyone. We stayed there for a week and got out and about lots....I only wish we had more time to enjoy the property itself as it was so nice!! Everything you need is at the cottage and communication was very efficient. Highly recommended." The holiday cottages are situated on opposite sides of the farm courtyard. The courtyard is bounded on one side by the upper reaches of the picturesque River Clydach and on the other side by green parkland pastures that are grazed by sheep and cows. High hills of blue pennant sandstone provide the background to an idyllic and tranquil scene that retains much of its original remote and wild character. A major 24 hour supermarket just over a mile away in the town of Pontardawe. the local supermarket will deliver supplies. Pontardawe also has a leisure centre, theatre, cinema, plus a selection of pubs and restaurants. The small village of Rhos is only 1 mile away with a post office, local pub, convenience store and fish and chip shop. The walks from the doorstep of the cottage mean that you never have to leave the farm if you so wish and you can just spend your time relaxing and exploring the surrounding countryside. 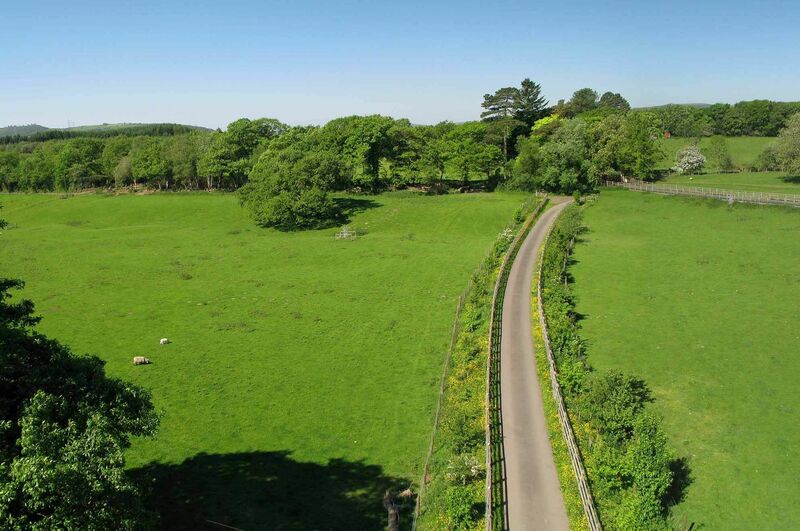 Roam 120 acres of beautiful Welsh countryside, including an award winning bluebell woodland. Highlights include The Plas Farm Trail which starts on cottage doorstep. There is also a wonderful variety of walks within easy reach - coastal walks, mountain walks, waterfall walks, heritage trails and town walks. Highlights include: Gower and Brecon Beacons; The Glamorgan Heritage Coast (cliffs and sand dunes); the Vale of Neath, known as ‘Waterfall Country‘; The Afan Valley, a narrow forested valley known locally as “Little Switzerland”, which includes Afan Forest Park’s many miles of beautiful walks ; the Wales Coastal Path which passes through some of Britains most spectacular and breathtaking scenery and Fforest Fawr Geopark (the Sleeping Giant). Afan Forest and BikePark Wales are both easily accessible. 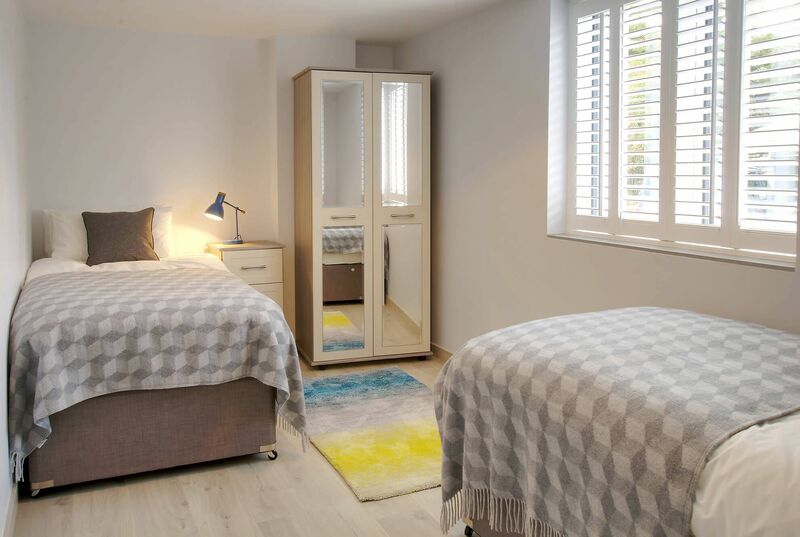 The cottages offer secure bike storage, bike washing facilities and an area to dry clothes and equipment. It is possible to ride from the cottage doorstep along quiet country lanes - forestry tracks that will give you access via offroad trails to the Afan Forest and other spectacular routes such as the old Roman road of Sarn Helen above the Vale of Neath or the Great Forestry Ride between Neath and Pontypridd. 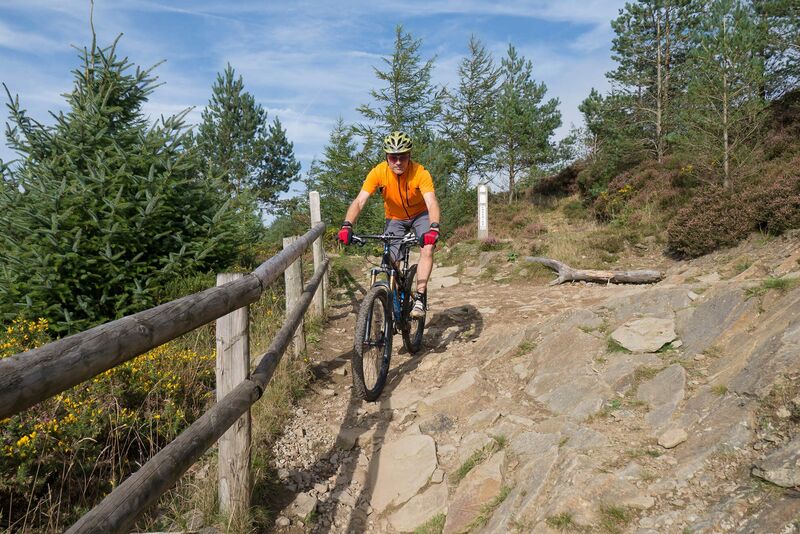 Afan Forest Park is home to five world class trails, over 100 km of track and voted one of the world’s ten best places to ride. 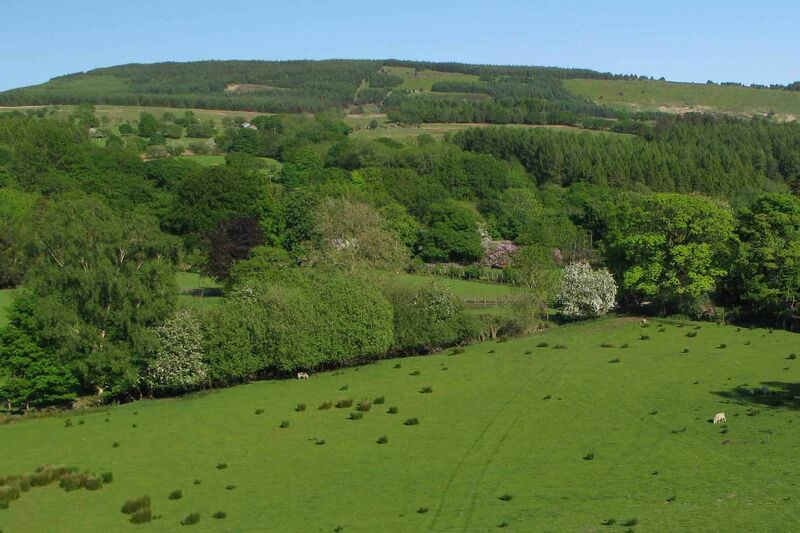 The farm is ideal for those on a bird watching holiday as it has contains a wide variety of different habitats including an area of award winning broadleaved woodland, coniferous woodland, grassland, hedgerows and upland streams. Situated upon the bank of the upper reaches of the picturesque River Clydach, it's a haven for wildlife – herons, dippers, grey wagtails, trout and otters all live on the river. Guiding and tuition available (pickup at cottage). Catch sewin in the River Tawe, just a mile away. Local to one of Wales’ best fishing tackle shops. Excellent sea fishing and coarse fishing nearby. 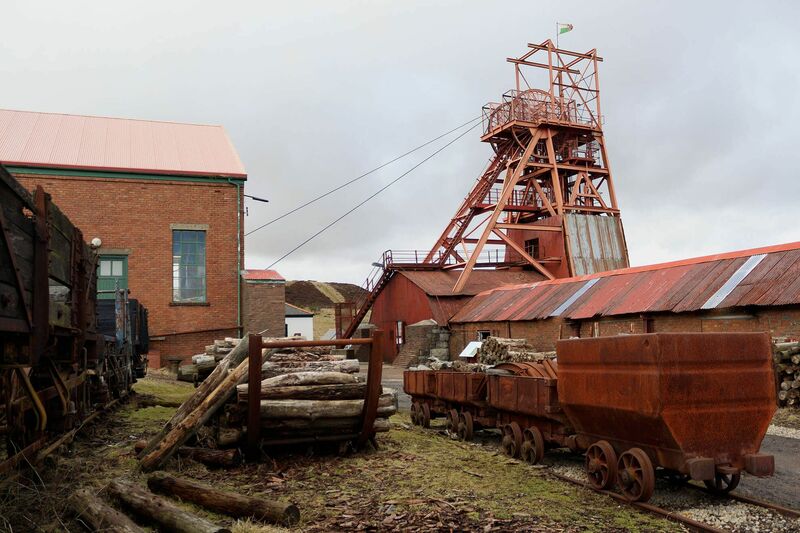 Blaenavon World Heritage Site, otherwise known as Big Pit is a real coal mine and one of Britain's leading mining museums. Castell Coch, (Red Castle in Welsh), is a perfect fairytale castle on a steep wooded hillside. Dylan Thomas' Boathouse - Visit the shed where Wales' famed poet wrote many of his greatest works. Lancaiach Fawr - A Tudor house, built around 1530, that has been transformed into a living history museum set in 1645, the time of the Civil War. 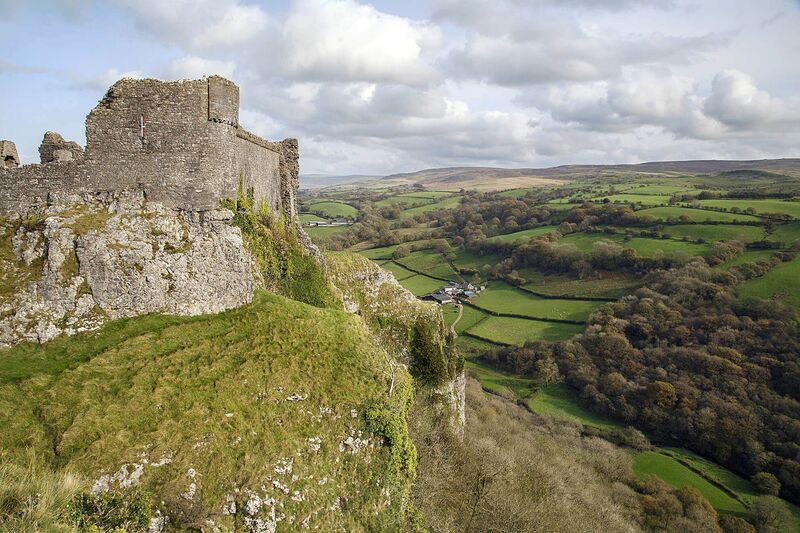 Pembroke Castle - A mighty and largely intact medieval fortress located on the banks of an estuary. Endless passages, stairways and tunnels. Tintern Abbey - This Cistercian abbey is the best-preserved medieval abbey in Wales. Caerphilly Castle - Vast and impressive, Caerphilly is Britain's second largest castle and covers 30 acres. Dolaucothi Gold Mines - Underground tours of a likely source of gold bullion for the Imperial Mint of Rome. Kidwelly Castle - An imposing monument of Norman power whose remains are some of the most intact of any medieval Welsh castle. Museum of Welsh Life - Europe's largest outdoor museum - a vast collection of over 30 reconstructed historic buildings from all over Wales. Royal Mint - The UK's money making factory boasts over 1,000 years of history and is the world's leading export mint. Celtic Manor, Wales' most famous golf course, gaining fame as the venue for the 2010 Ryder Cup. Oakwood Theme Park - Ride Megaphobia, Europe's largest wooden roller coaster and considered to be one of the world's best. Folly Farm - One of Wales' largest family attractions and 10th best zoo in the world according to a Trip Advisor poll. Wales Principality Stadium - The home of Welsh rugby boasts the second largest retractable roof in the world and an incredible atmosphere on match day! National Showcaves - Voted 'Britain's Greatest Natural Wonder' by the British public and comes with a dinosaur park! Waterfall Country - A collection of over 15 waterfalls in one of the most impressive limestone landscapes in Europe. Glamorgan Heritage Coast - These famous Jurassic cliffs are a sight to behold - walk on the rick pavement beach and marvel at the round stones that roll like billiard balls across its surface. Merthyr Mawr Nature Reserve - The second highest sand dune system in Europe - known as the Welsh 'Sahara Desert'. Three Cliffs Bay - One of the UK's favourite views -three sea cliffs jut out into the bay and a large stream, flows across the beach into the sea. 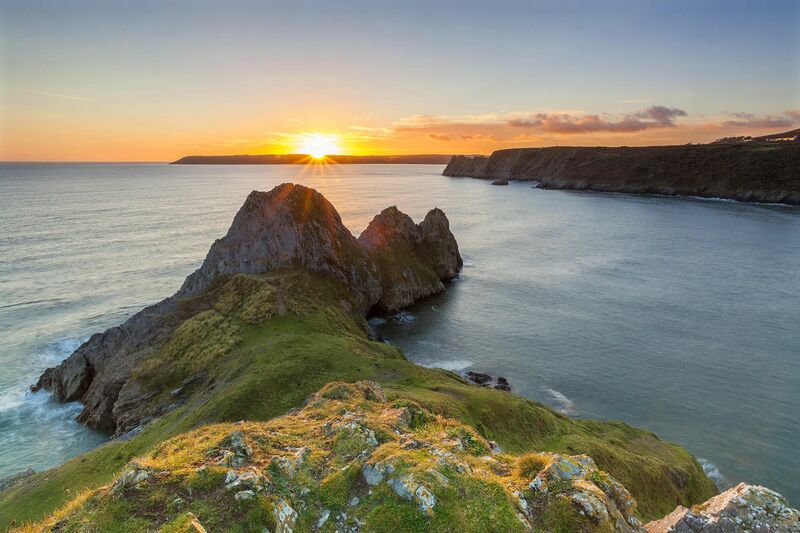 The Gower Peninsular - The UK's first 'Area of Outstanding Natural Beauty' is one of the most beautiful corners of the British Isles. Pembrokeshire Coast National Park - Britain's only coastal national park boasts some of the finest coastline scenery in Europe. Worms Head - A highlight of the Gower Peninsula - three miles of golden sand and a grass covered rock that resembles a basking Welsh dragon. Aberglasney House and Gardens - A medieval house with more than 10 acres of gardens that are considered to be among Wales' best. 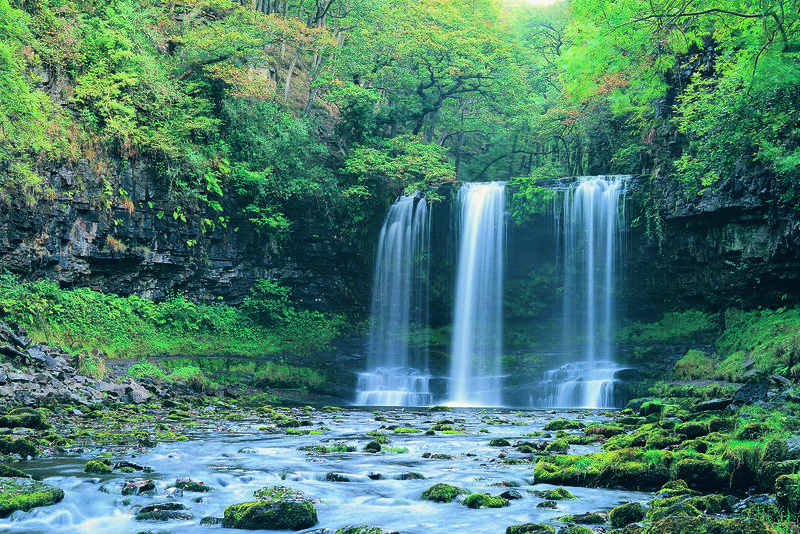 Brecon Beacons National Park - The famed National Park of wild open hillsides and waterfalls. 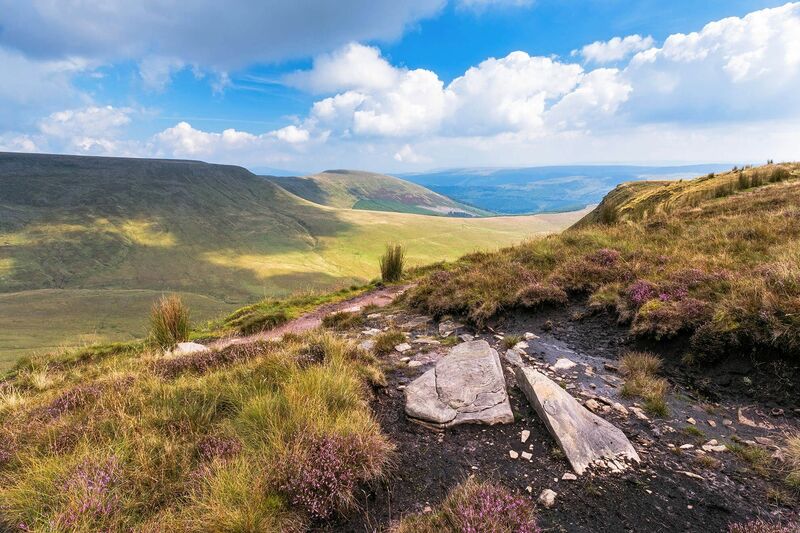 Their peak, Pen-y-Fan, is the highest point in southern Britain. The National Botanical Gardens - The world's largest single span glass house and the first major botanical gardens to be created in the UK for over a century. Pembrey Park - Eight miles of golden sands at Cefn Sidan, hundreds of acres of woodland and the longest toboggan run in Wales. 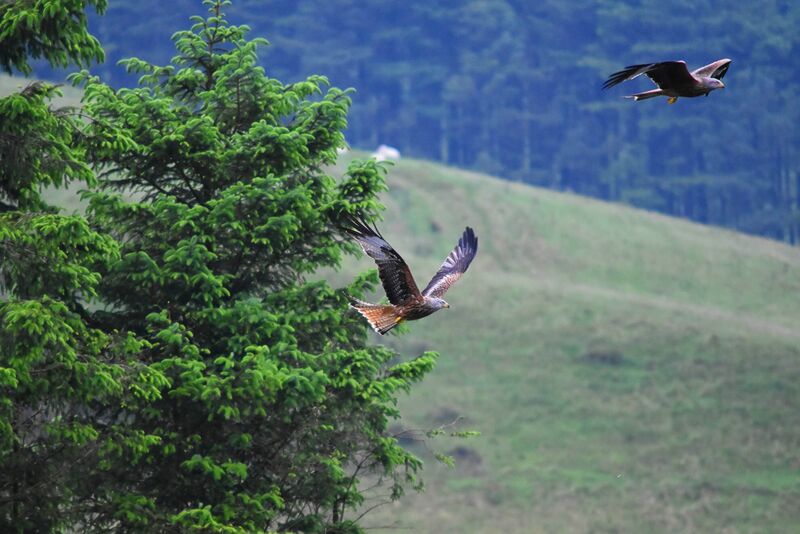 Red Kite Feeding Station - Over 50 red kites and buzzards visit this Black Mountain feeding station every day. Wye Valley - Spectacular limestone gorge scenery and dense ravine woodlands dominate this fascinating Area of Outstanding Natural Beauty. 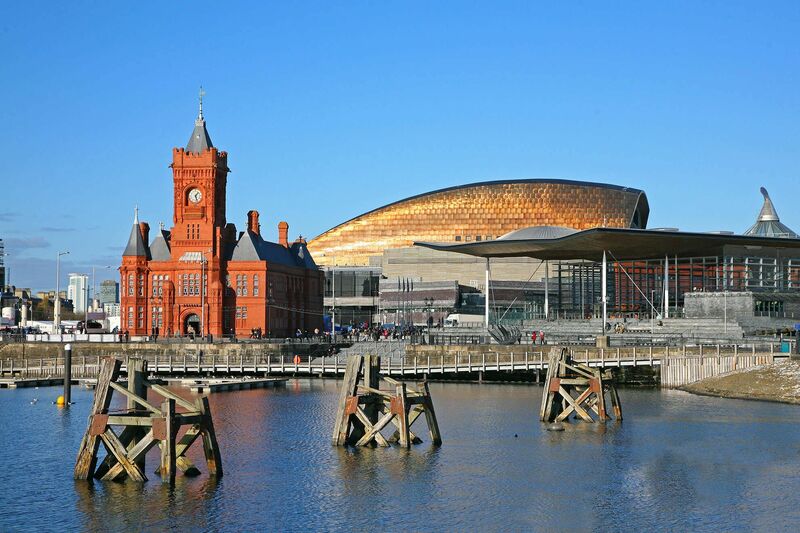 Cardiff - Capital of Wales, a major sports venue, a city centre castle and one of UK's best shopping centres. Swansea - Compared by poets for centuries with the Bay of Naples, Swansea has a huge sandy beach and is Wales' second largest city.